Can a Tow Truck Damage your Car? If you’re not careful – a helping hand can make things worse. Sometimes, we all need a helping hand. But even with the right intentions, a helping hand can do more harm than good when it comes to car breakdowns. A breakdown on the road can be a very stressful and dangerous situation. Your main focus will be getting your vehicle and yourself to a safe space, so it would seem almost unthinkable that a towing vehicle could cause more damage to your vehicle – but it can happen. Which is why it’s important to choose a towing company that you can trust, like Southside Towing Company Sydney. It is true: the likelihood of your car getting damaged by a tow truck is rather slim if the driver knows what they are doing and has quality equipment. But when the tow truck driver is not from a reputable business or does not have the right equipment for the job, that’s when you are more likely to hear horror stories of damaged transmissions, tyres and everything in between. It is always important to take photos of your vehicle before towing so that you can show what its condition was beforehand. On top of this, before you sign any relevant documents, read them first: a disreputable or unreliable tower might to implement unexpected costs, and some documents may stipulate that they are not accountable for any further damage they make the cause. It is important to note that if a car is wrecked in an accident, boarding it onto a truck or transporting will have an increased chance of damaging it, considering the fragile state it is in. 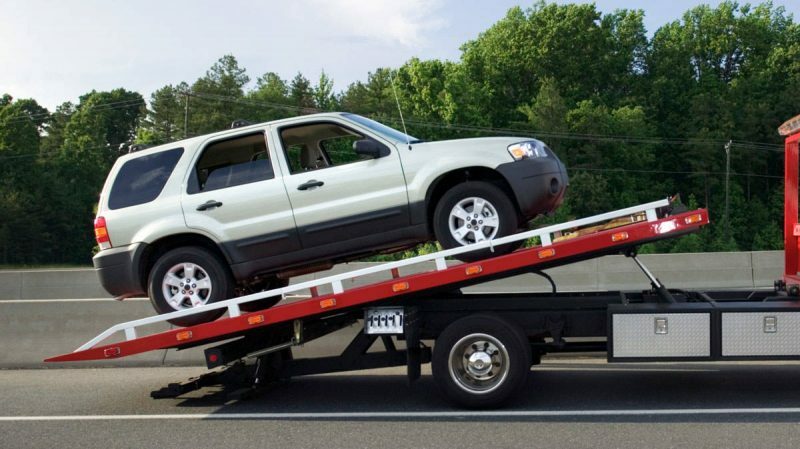 With Southside Towing Sydney, you get a helping hand that you can trust. At Southside Towing Sydney, we are a fully licensed towing company that adheres to the strictest and highest safety standards in vehicle towing, while rigorously training our professionals to be the most trusted in the industry. With over 10 years of experience, we have built a reputation for being the best towing company in Sydney because we know that it is a big responsibility and that you’re counting on us. At Southside Towing Sydney, we treat every job an emergency. We know how it important it is to our customer to be as quick as possible while being safe and transparent with the process. Our customer’s safety is our number one priority. On top of this, our highly trained professionals use the safest and most up to date trucks in the business, ensuring that your vehicle is transported without further damage. Our emergency services are readily available 24/7 and we work well with all major insurers so that claims are easily approved and processed. We don’t have the reputation for being Sydney’s best and most trusted towing company for nothing! For a helping hand that will go above and beyond for you, contact Southside Towing Sydney at 0488 869 464.